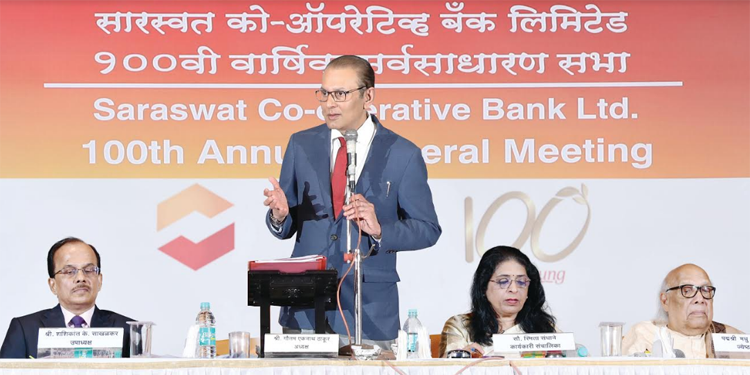 Befitting its age, India’s largest Urban Co-operative Bank- Saraswat Bank earned highest profit so far in its 100 year history, informed its Chairman Gautam Thakur on the occasion of its 100th AGM held recently at Ravindra Natya Mandir, Prabhadevi, Mumbai. Saraswat Bank has been celebrating the Centenary Year across states. Billed as the pride of urban co-operative banking in the country Saraswat Bank’s net profit after tax was Rs 240.68 crore in FY 2017-18. On all other parameters as well, such as business growth or containing NPAs, the UCB has shown a spectacular performance. Its total business increased from Rs 55,273.49 crore as on 31st March, 2017 to Rs 58,525.77 crore as on 31st March, 2018, a rise of 5.88%. Deposits were Rs 35,056.66 crore as on 31st March, 2018 and Advances were Rs 23,469.11 crore as on 31st March, 2018. Saraswat Bank also displayed good results in managing NPAs. While its gross NPAs declined significantly to 3.72%, the net NPAs also stood lower at 0.94% as on 31st March, 2018. The Capital to Risk Weighted Assets Ratio (CRAR) stood at 13.60% and CASA ratio was 30.79% as on 31st March, 2018. Overall the UCB registered 33% rise in retail advances and the Internet banking transactions grew by 216%. Total digital transactions also grew by 36%. The Financial Year 2017-18 was important for what their tagline says “100 years young bank”, in the sense that it is first Co-operative Bank to find a place in India’s FORTUNE 500 list. It also bagged the Best Bank award in the category of the Technology Bank of the Year among co-operative banks at the IBA Banking Technology Awards 2017-18. The list of laurels the bank annexed this year include the Wells Fargo Operational Excellence Award from Wells Fago Bank NA, major NOSTRO accounts correspondent as it also featured in the special edition of Mint Lounge’s ‘Brands to Look Out for in 2017’. A hard-working Chairman also informed the delegates that the UCB was adjudged winner of the NPCI Excellence Award in recognition of performance in various products viz. NFS ATM Network, RuPay, CTS, among others. It disbursed 17.50% Dividend on equity shares to its members for the year. Saraswat Bank also launched several new products this year including Bank-on-Tab – tablet based banking, RuPay Contactless Debit Card and Saraswat Bank 100- Digital account, among others. ”Our future plan includes investing in advanced technology and further streamlining risk mitigation measures,” said a confident Chairman Mr Gautam Thakur to Indian Cooperative. 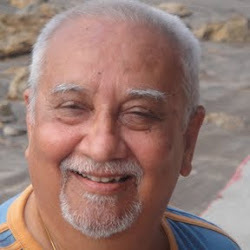 It bears recall that Saraswat Bank is India’s largest Urban Co-operative Bank, based in Maharashtra. It was established as a co-operative credit society in September 1918. 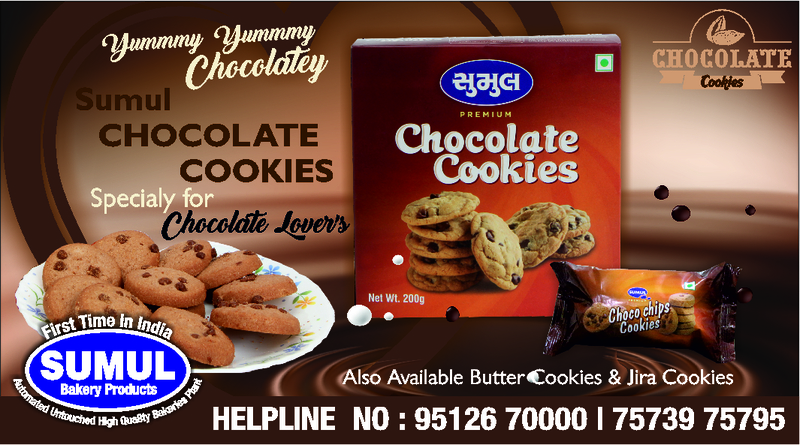 Today, it is spread across six States – Maharashtra, Goa, Gujarat, Delhi, Madhya Pradesh and Karnataka. With a total business of Rs 58,000 crore plus, 280 plus branches, and 260 ATMs, the Bank is committed to taking its legacy ahead with outstanding services, read a mail sent by the UCB. Hearty congratulations to the management and officials of the bank. Best wishes for more success in the future.